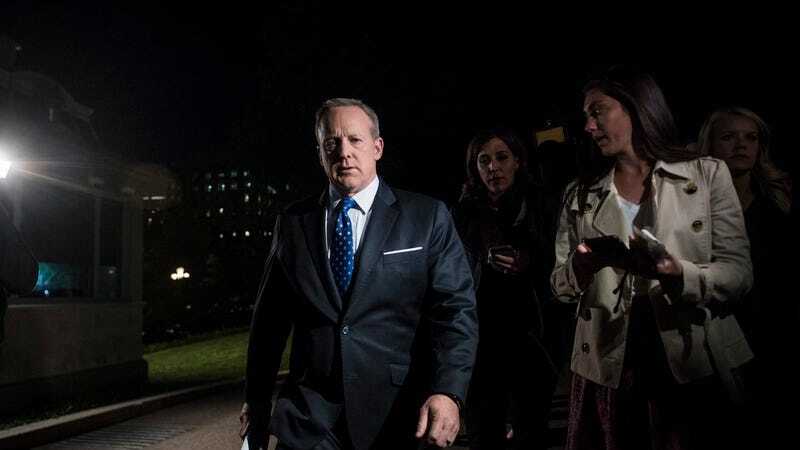 This story has been updated to more precisely describe White House press secretary Sean Spicer’s location late Tuesday night in the minutes before he briefed reporters. Spicer huddled with his staff among bushes near television sets on the White House grounds, not “in the bushes,” as the story originally stated. If you jump through those semantic Hula hoops, you’ll discover that no, Spicer was not going full wood sprite. Regardless, we’re going to bet that the Saturday Night Live set designers are putting the finishing touches on some shrubbery for Melissa McCarthy’s hosting gig this weekend.